Save.ca has a new featured coupon! 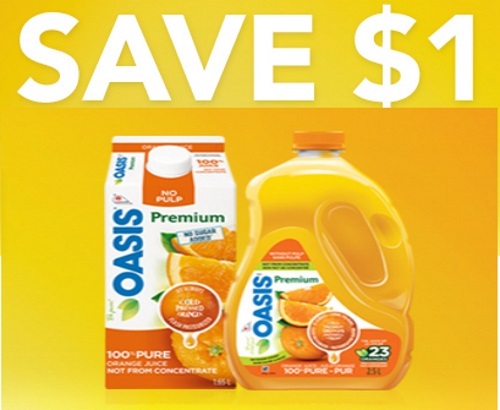 Save $1 off Oasis Premium refrigerated orange juice! Offer is valid on 1.65L, 1.75L and 2.5L. Coupon is valid until April 30, 2017.